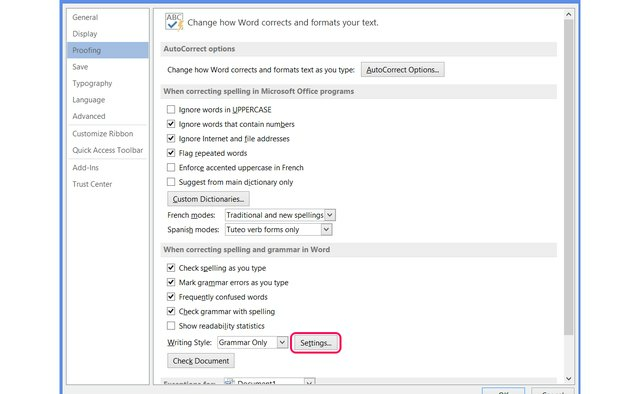 By default, the spelling and grammar check in Microsoft Word 2010 and 2013 does not check for sentence spacing, allowing you to use either one or two spaces after a period without prompting a warning. 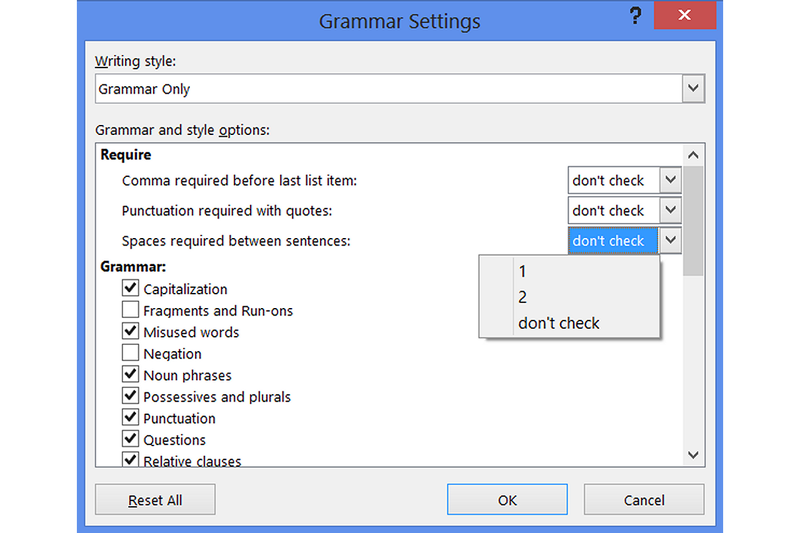 To ensure your documents have a consistent spacing, set the number of spaces required in the grammar check settings and then run a full check or watch for blue underlines, which indicate formatting inconsistencies. Open the File menu in Word and click "Options." Switch to the "Proofing" tab and click "Settings" on the Writing Style line. It doesn't matter whether the adjacent option reads "Grammar Only" or "Grammar & Style" -- these options come with a default package of settings, but you can enable the sentence spacing check with either. 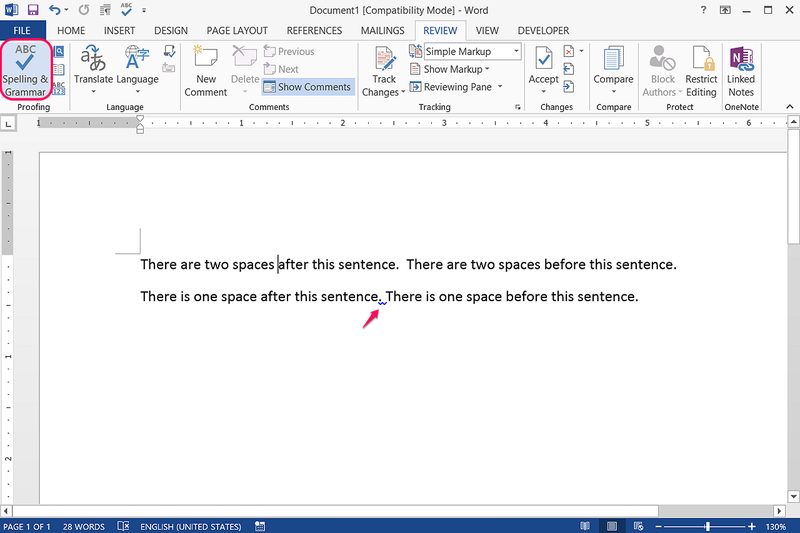 Click the drop-down menu for "Spaces Required Between Sentences." 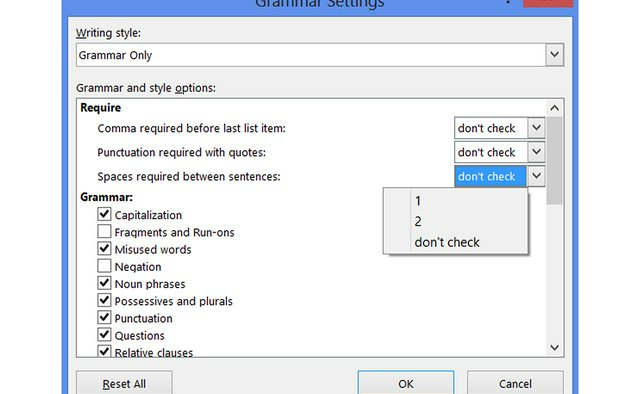 Pick either "1" or "2," or choose "Don't Check" to disable the sentence spacing check. This setting applies to all documents you open, so when reading files written by other people, you might want to disable the check to avoid seeing excessive grammar errors. 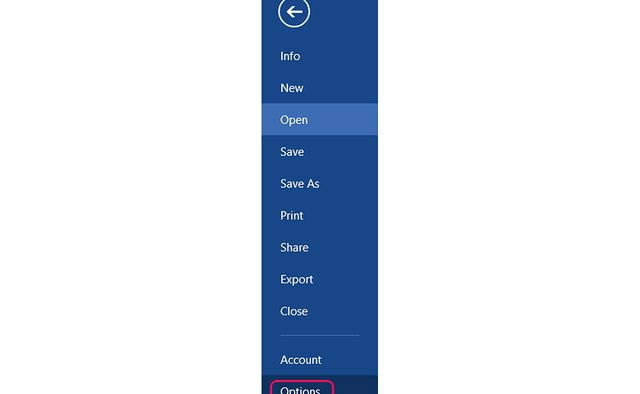 After selecting a number of spaces, press "OK" on close both open windows. Click "Spelling & Grammar" on the Review tab to check for all errors in the document, including incorrect sentence spacing. 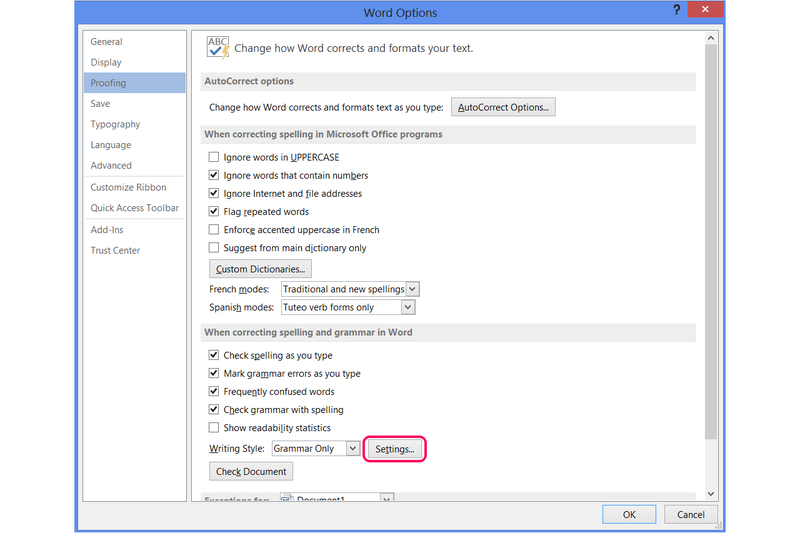 As you type, Word also marks mismatched spacing with a blue underline that you can right-click to fix the problem. To change all double spaces to single spaces at once, press "Ctrl-H" to open Find and Replace. Type two spaces in the Find box, one space in the Replace box and click "Replace All." 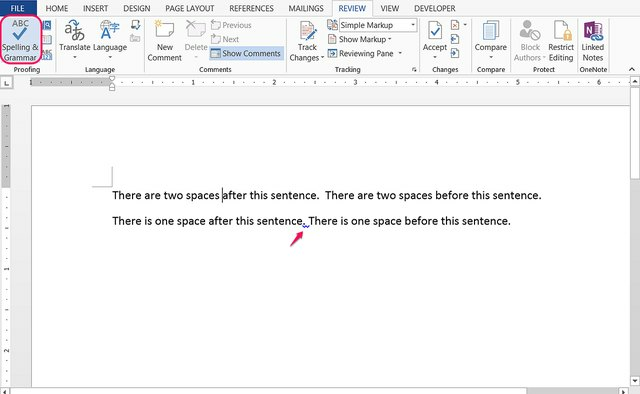 Change the vertical spacing between lines in Word by clicking the "Line and Paragraph Spacing" icon, which looks like a set of lines next to up and down arrows, in the Paragraph section of the Home tab. To change the spacing on all document, pick "Line Spacing Options" in the menu, choose a new spacing and press "Set as Default."